It will be a busy morning in Downtown Davidson today. In addition to the Farmers Market, two running events are serlt to occur. Delayed because of Hurricane Florence, the annual Run for the Green event happens today , Saturday September 29th. Be on the lookout as hundreds of runners take to the streets in the annual 5k,10k, half-marathon event put on by the Davidson Lands Conservancy. See more about the event here. There is also a very special solo event happening this morning called "50 for Freedom". Robert Alexander, Associate Pastor at DCPC, will run a 50 mile challenge to raise $50,000 to combat human trafficking. The event will benefit Lily Pad Haven. See more on this event here. Swing by the Town Green this morning and throughout the day to cheer on the racers. Food and music start at 6pm. Members of this group will play a role in shaping the comprehensive plan process and serve as a sounding board to guide the development of the plan. 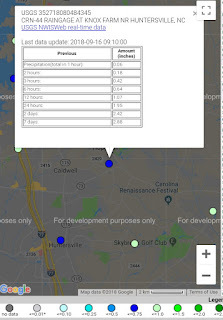 We anticipate 12 or so citizens will be selected to join elected officials, representatives from the planning and livability boards, Design Review Board, and Davidson College to form the Plan Advisory Group (PAG). There will also be staff members and consultants serving as liaisons to this group. We anticipate that the PAG will meet seven times during the planning process, focusing their efforts on reviewing and providing feedback on the planning process and draft plan. Dates for these meetings will be solidified once the group is selected. 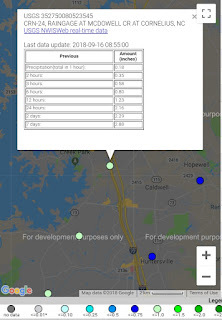 The Planning Advisory Group’s scope of work follows: The PAG will meet twice during Phase 1/Fall 2018 to discuss the comprehensive planning process, schedule, and the Plan Advisory Group’s role over the course of the process, topics/issues pertinent to Davidson, outcomes of the first round of public intercept events and will provide input on public engagement activities to conduct at the first community workshop scheduled for January. The PAG will meet twice during Phase 2/Winter 2019 to review reports from Phase 1 and help determine the focus and activities of the two upcoming workshops. After the workshops, the PAG will discuss how the findings should be translated specifically into policy direction, comprehensive plan content, recommended code changes, and Planning Area map revisions. The PAG will meet three times during Phase 3/Summer 2019 to review the draft plan in three different, digestible modules, since the content will be so detailed. This committee will leverage our community members’ personal networks, communications and marketing skills, and ability to get the word out about upcoming engagement opportunities. This group will work regularly this fall and then intermittently as the project proceeds. In January, we’ll host a public kick-off event when all members of the community will be invited to share input, and in March we anticipate hosting a multi-day workshop to which every Davidson resident will be invited. In addition to gathering input in person, we’ll also have multiple opportunities for community members to provide insight via email, online and hard-copy surveys, etc. During the summer months of 2019, we’ll work on a draft plan and present updates at board of commissioners’ meetings, so community members will have the opportunity to share feedback as the comprehensive plan is drafted. What is a comprehensive plan? It’s the leading policy document and tool to help communities create a vision and guiding principles for decision-making for their town. In Davidson’s case, it allows our community to understand our historical context, acknowledge immediate concerns, evaluate options for how to best proceed, and move together toward a better future for Davidson. Because it’s a community-centered process, input from our community members is critical. DAVIDSON, N.C. – On Thursday, August 23, the Continuum Board of Directors met to review financial results for FY 2018, which ended June 30, and compare last quarter to the same quarter a year ago. Data has not been externally audited, but are preliminary and still subject to external audit. Revenue is up .89% when comparing Q4 2018 to Q4 2017 and total expenses decreased by 4.23% in Q4 2018 compared to Q4 2017. EBIDA (Earnings before interest, depreciation and amortization, a key metric used by cable operators to measure performance) increased by 15.77% from Q4 FY 2017 to Q4 FY 2018. Average revenue per customer is even. Financially, year-over-year, FY 2018 revenue fell behind FY 2017 by .79%. EBIDA declined by 3.49% from FY 2017 to FY 2018. Average revenue per customer is down .72% from FY 2017 to FY 2018. Continuum gained 167 customers during FY 2018. Continuum made a contribution of $3.15 million in debt payment to the Town of Mooresville for FY 2018, and projected a payment of $3.48 million in the FY 2019 budget. 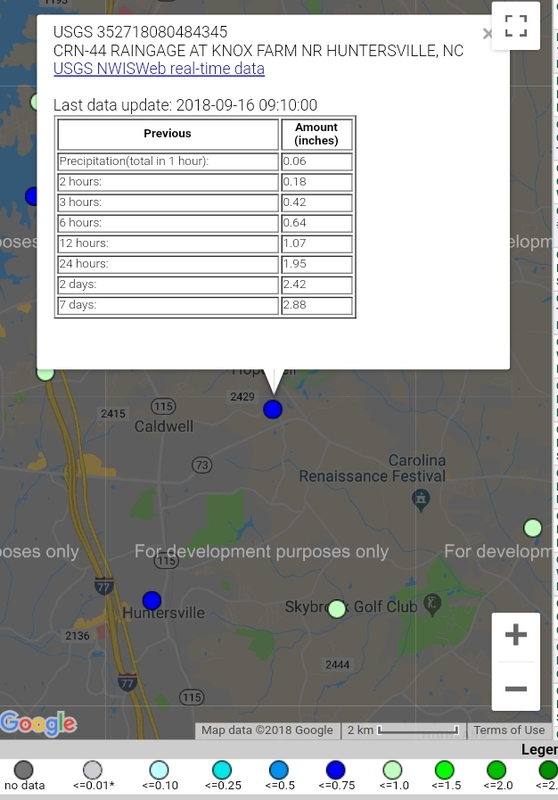 The amount the Towns of Mooresville and Davidson made to the debt payment for FY 2018 was $3.23 million and the projected payment for the towns in FY 2019 is $2.94 million. 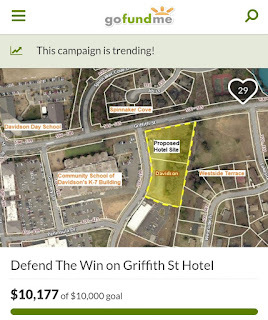 Continuum’s contribution toward the debt is projected to exceed the towns’ contributions in FY 2019.
aShortChronicle has learned that the Defendants appealing the Mecklenburg Superior Court decision invalidating the zoning for the Griffith Street Hyatt Place Hotel project have officially filed with the Court if Appeals in Raleigh. The "record of appeal" was filed on September 17th and docketed the following day. According to documentation provided by lead plaintiff, Luke Charde, "cases will be heard in the approximate order in which the records on appeal are docketed." However, there are still a number of steps before any actual court date is known. Within 30 days of docketing the record, the Defendants making the appeal must submit their brief on the appeal. Then the Plaintiffs have 30 days to respond. Then the appeal hearing has to be scheduled. Per an email from Charde, the Plaintiffs' legal team doesn't expect a decision until Spring 2019. 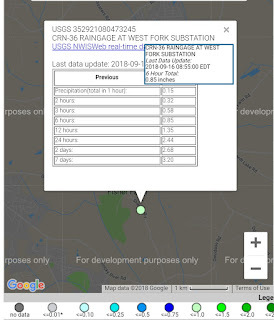 All told, this case still has a ways to go, but thanks to successful community fundraising efforts for the plaintiffs, they now have the resources to see it through. 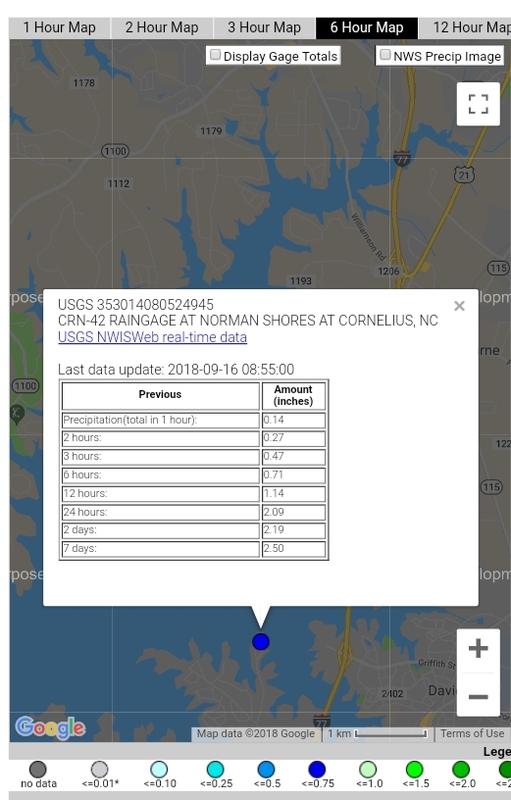 While a couple inches of rain in a day would be a lot under normal circumstances, for a tropical system North Mecklenburg has gotten off light so far with Florence. By the end of the day Sunday things will likely be different, but check out these area totals as of Sunday morning. 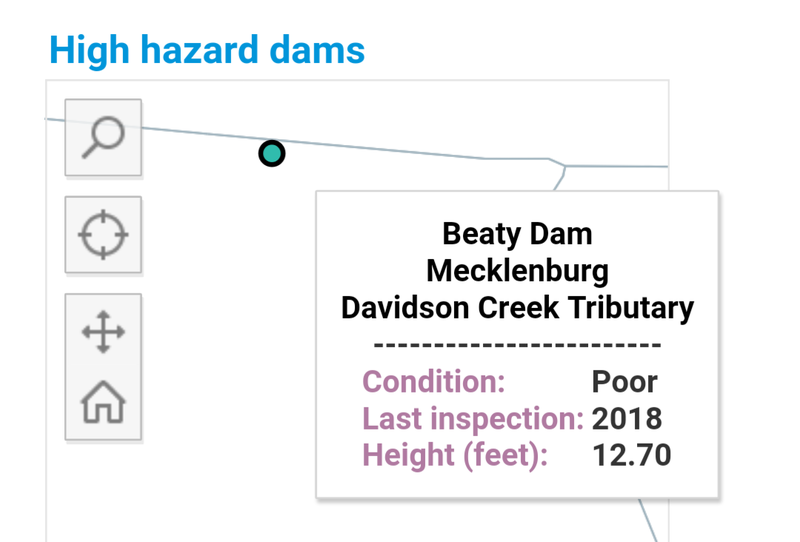 With rain starting keep eye on these Davidson "high hazard dams"
As Florence finally arrives locally and with several inches of rain or more expected in coming days, local dams will be under strain. 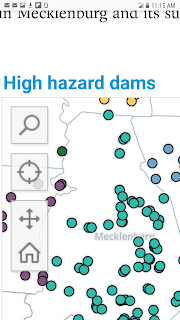 The Charlotte Observer posted a tool showing where identified "high hazard dams" are located with three in the Davidson area. Maplecroft, Pages Pond, and Beaty. 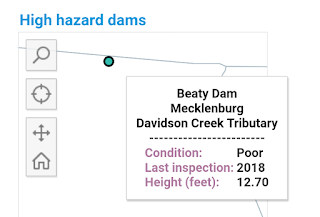 For those wondering about Beaty, the pond was drained as recently as last week according to those who follow that closely. 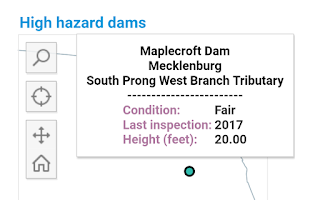 Draining the pond is something that occurs regularly due to the poor rating of the dam, and should provide some excess capacity for the coming rains. Up to six different runoff points drain into the pond which provides filtration before those waters flow downstream. 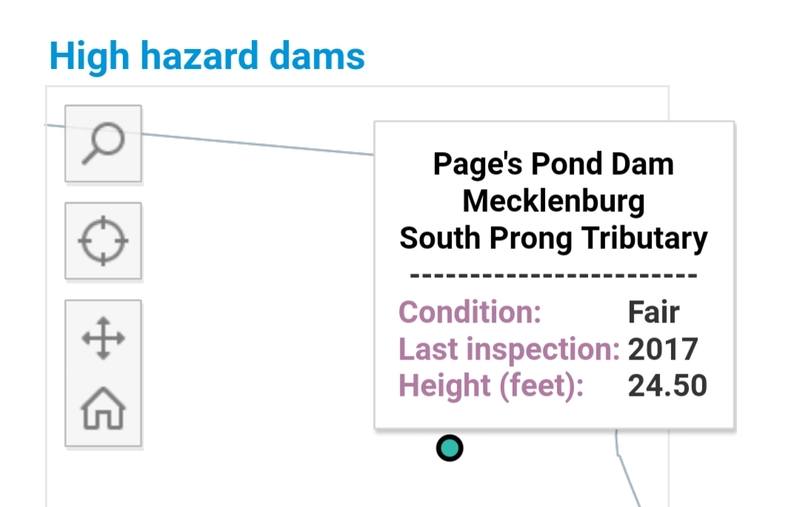 This weekend's rainfall will also be the biggest test of the new ponds built on the West Branch development. 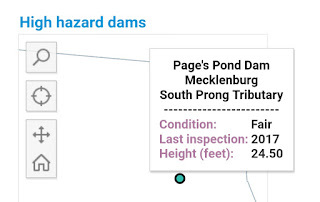 When these ponds were first built there were some issues during major rain fall. Here is hoping these hold as well to prevent any impacts on the now rescheduled Run for the Green which uses the adjacent greenway. Summary: At the August 28, 2018 meeting, the board of commissioners considered several options for a sidewalk project for this fiscal year. The board of commissioners preferred option 1 which was to install sidewalk along Grey Road (from Concord Road to Wolfe Street) and a portion of Spring Street. The recommended action is to proceed with the Grey Road and Spring Street projects, allocating $357,276 of fund balance to complete the projects. 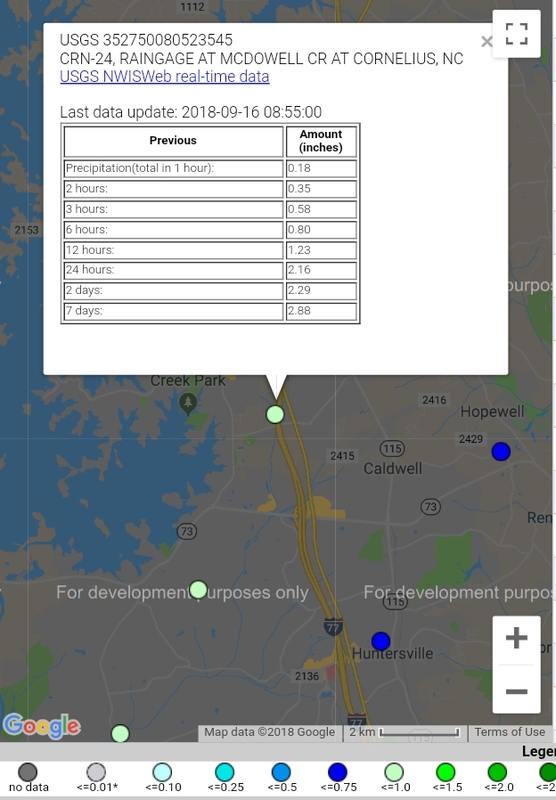 Summary: To ensure the Town of Davidson is competitive with municipalities in the Charlotte region, a pay study was included in the FY 2018-19 budget. The last pay study was conducted in 2015 and the town’s strategy, and a human resources best practice, is to complete a pay study every three years. Staying competitive allows the Town of Davidson to recruit and retain high performing employees that provide services to the citizens. A collaborative effort was made between the towns of Huntersville, Cornelius, and Davidson to collect and analyze data from 20 local communities. The findings of the study will be presented; the implementation recommendation will be presented at a future meeting. Summary: Historic Preservation is one of the board of commissioners’ strategic plan goals. This is an update on our work on various initiatives to date and next steps. The board of commissioners may take action to determine the process for choosing a committee to vet the request for proposals and consultant for the local historic district expansion/creation. Summary: The board of commissioners have requested a brief analysis of whether it should allow commissioners to vote via phone. Currently, members are allowed to participate in board meetings by phoning in but are not permitted to vote. aShortChronicle has been following the West Branch development since its earliest phases including much of the swirl surrounding the project. 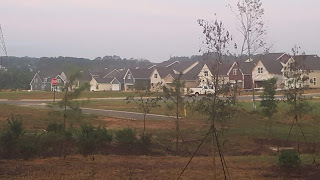 That includes the moving of a viewshed and rezoning conflicts, its relationship to speed limits and safety on Davidson-Concord Rd, its impact to the publicly owned greenway, and its future contribution to growth in the town population. Now, that the first of the townhome buildings have started coming out of the ground, current residents will soon begin to see new neighbors and more building. 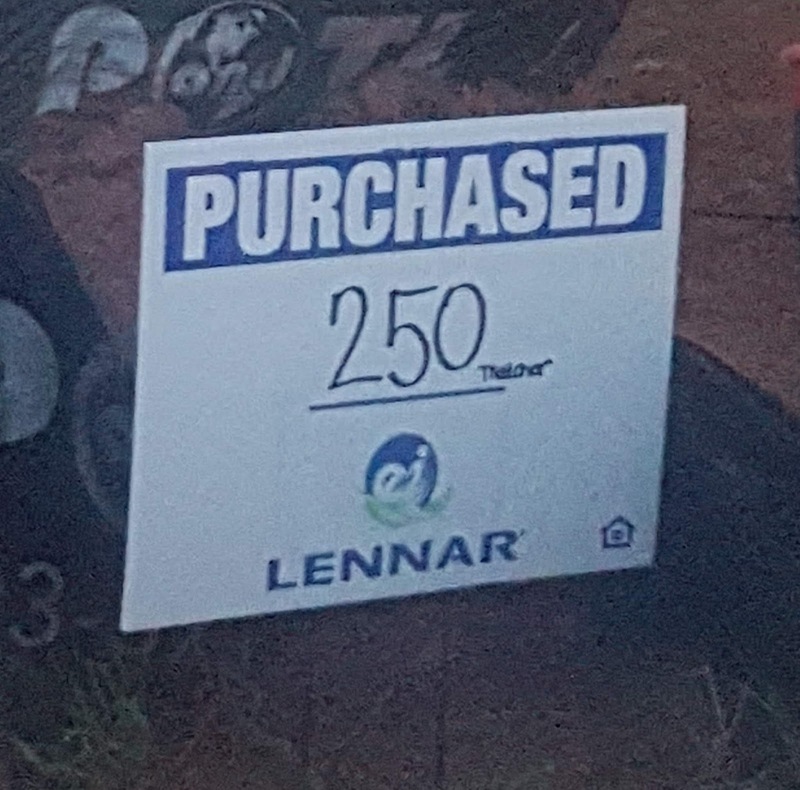 On a recent trip through the neighborhood aShortChronicle saw the first "purchased" signs on townhome units. 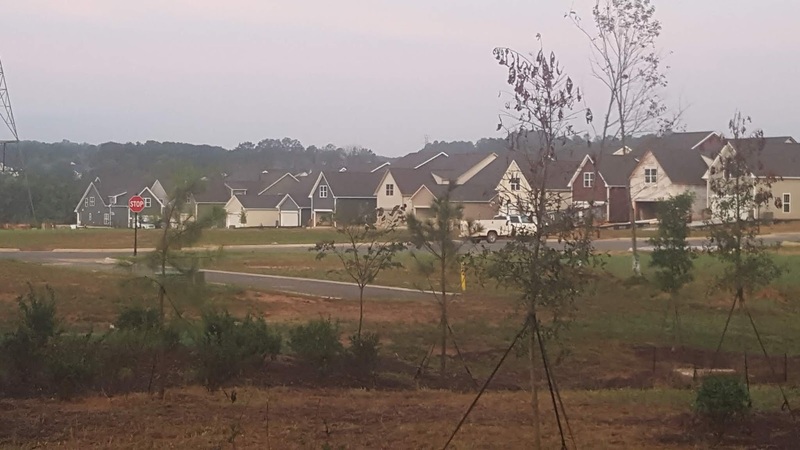 In addition to the spec homes that can be seen from Robert Walker Drive (one of which appears occupied) at least 8 other single family lots sported these purchased signs last week which means houses should soon start popping up elsewhere in the development. 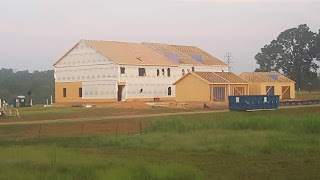 When all done, West Branch will add 300+ homes to Davidson making it one of the largest neighborhoods in town. 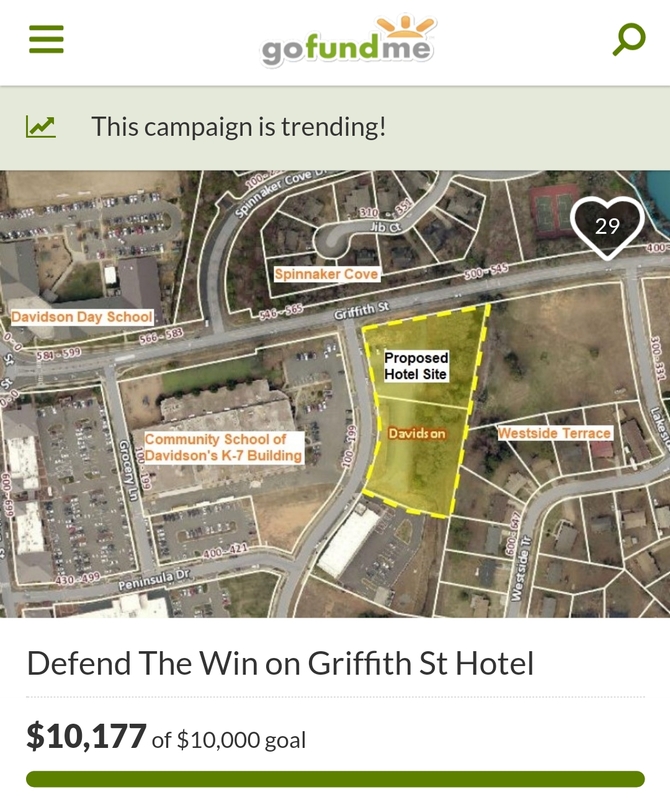 With nearly a week to spare on their stated deadline, citizens opposed to the planned new hotel on Griffith Street in Davidson reached their $10,000 goal on Saturday to fund an appeal fight being mounted by the developer and landowner defendants. The controversial project sandwiched between CSD's K7 building, houses on Westside Terrace, and the Spinnaker Cove neighborhood has brought together people from all across town and the LKN area in opposition. Defendants are appealing a May Superior Court decision that invalidated the zoning allowing the project. That opposition was on display with a "community yard sale" held Saturday morning at 341 Griffith Street. 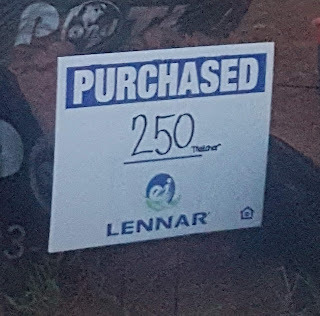 The sale at the home of Evelyn Carr bought together people from across town who donated items for sale, their time, and money to bring this effort over the finish line. Ms Carr (pictured bottom left at Saturday's event) has long been a stalwart voice at Davidson Town Hall, regularly speaking out on issues including safety for children walking to school along Griffith Street. Prior to the event this weekend, she was interviewed by WSOC's Joe Bruno on why she was hosting the yard sale. 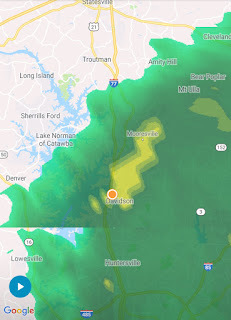 See that coverage here. 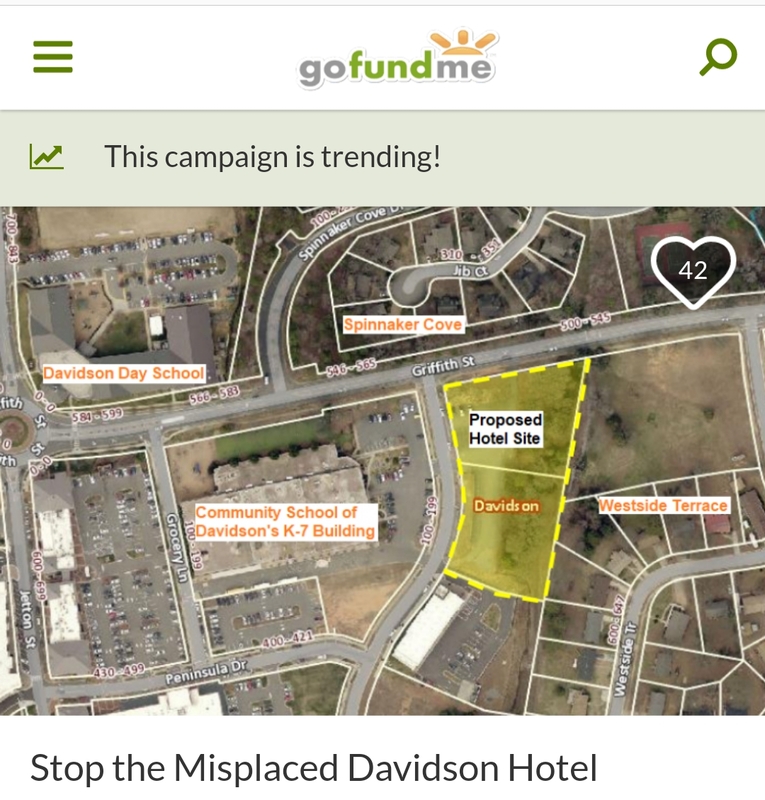 Having people in the community willing to "fight" to keep Davidson the town it is is one of the things that makes the town special. 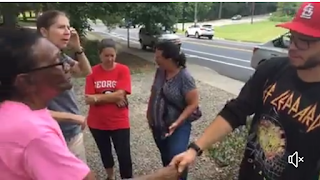 DAVIDSON, N.C. – Parents of a 12-year-old boy called 9-1-1 on Monday morning to report a subject attempting to entice their son into a car. The father advised that their son said an African-American male driving a dark blue or black car (possibly a Volkswagen model) asked him to get in the car and go for a ride. The boy was walking the family dog at the time of the encounter around 7:15 - 7:20 a.m. near Lake Park Drive in Davidson. The boy said he told the man “no” and the man then offered to buy him “something from Target” if the boy would come with him. The boy immediately ran home and told his parents who called 9-1-1. Responding officers were not able to locate the subject or vehicle in the area. Contact was made with surrounding agencies about the incident. 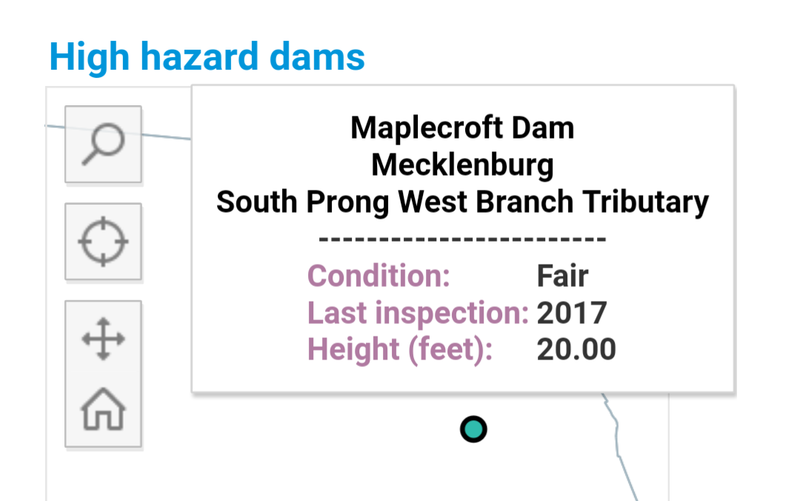 There had not been any other reports of this type of incident in Davidson or Cornelius at the time of the report. There was no additional information on the subject’s appearance or direction of travel. The Davidson Police Department asks if anyone has information about this incident to please call 704-892-5131. The Davidson Police Department encourages citizens to be aware of surroundings and report suspicious behavior. 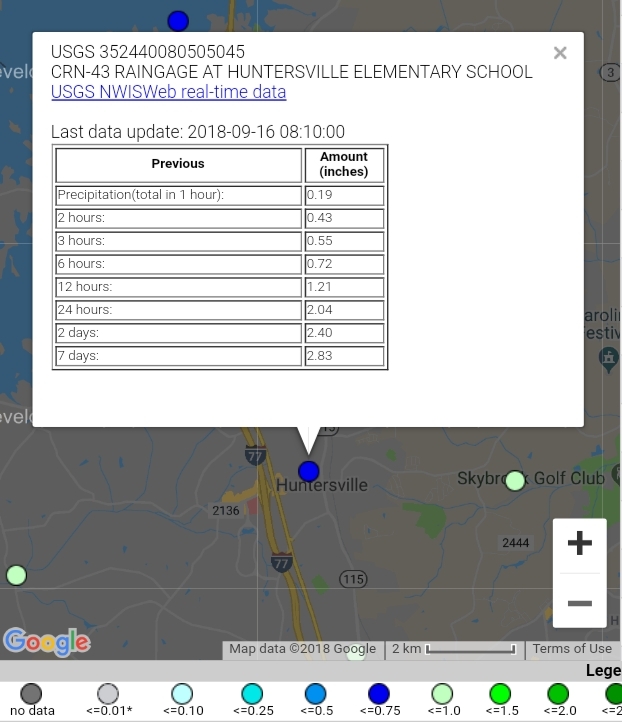 Want more information on what’s going on in Davidson? Be sure to visit our website often, follow us on Facebook, Twitter and Instagram, and sign up for our eCrier email distribution list.